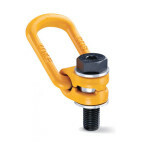 Protier Lifting Services offer a comprehensive range of Lifting Shackles. The two main designs / shapes of shackle: “D” (Dee) Shackle & Bow Shackle. 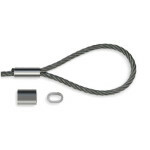 These are both most commonly available in two different materials: Alloy Shackles & High Tensile Steel Shackles. Protier offer a comprehensive range of Lifting Eye Bolts & Nuts. These are a fixed non swivel collard eyebolt used for a range of lifting & lashing purposes meeting British Standard BS4278 & DIN582. Protier offer a comprehensive range of Swivel Hoist Rings or Lifting Points in both metric & imperial thread sizes from the leading manufacturers across the globe. 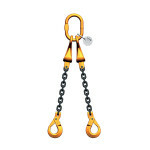 Protier offer a comprehensive range of chain slings from the leading manufacturers including Grade 80 and Grade 100. 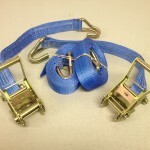 We offer Singe leg Chains Slings / 2 Leg Chain Slings / 3 Leg & 4 Leg Chain Slings, assembled in house to any length required available with a full range of accessories such as shortening clutches and self locking hooks. 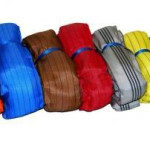 Protier manufacture and sell a complete range in high quality Flat Webbing Slings (Belt Slings) meeting & exceeding British Standard BS EN 1492-1. 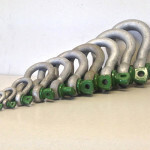 Protier manufacture and sell a complete range of high quality endless round slings designed for lifting meeting & exceeding British Standard BS EN 1492-2. Protier manufacture and sell a complete range of high quality webbing ratchet straps for restraint applications meeting & exceeding British Standard BS EN 12195-2:2001. 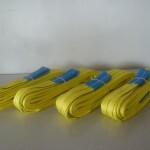 Protier manufacture and sell a complete range of high quality wire rope slings (Strops). 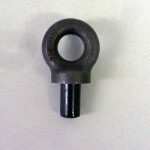 They are available in a wide range of materials and designs including endless wire rope gromets. All meeting & exceeding British Standards.